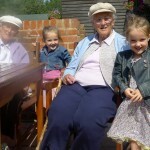 I’ve got no idea why, how or when but I feel like I’m permanently caught up in a chaotic whirlwind, chasing my tail and playing catch up since having the girls! One of the casulaties of this new crazy lifestyle is my inability to remember and plan for friends birthdays, get togethers, coffee etc. Gone are the days when I could indulge in a bit of forward planning, window shop for a gift, let alone think about what I’m going to wear. 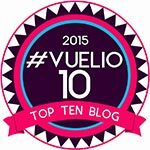 Now it’s wide eyed panic, the morning of the day in question, followed by a mad dash to the supermarket or petrol station to grab a bunch of flowers, bottle of wine and some nibbles. 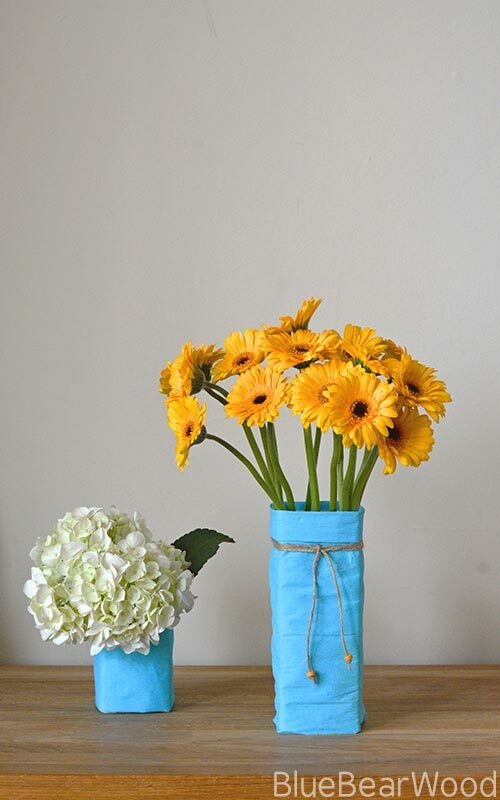 bring on the Thrifty Diy Upcycled Milk Carton Flower Vase Hack (fanfare of music). 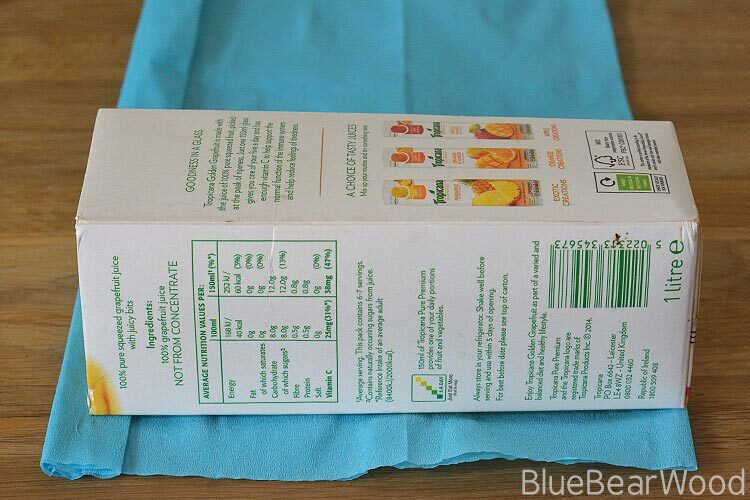 Cut your milk/juice carton (tetra pack) to size using a pair of scissors. For these Germini (Mini Gerbera) I chose to keep the full height of the carton but I cut it lower for the Hydrangea. 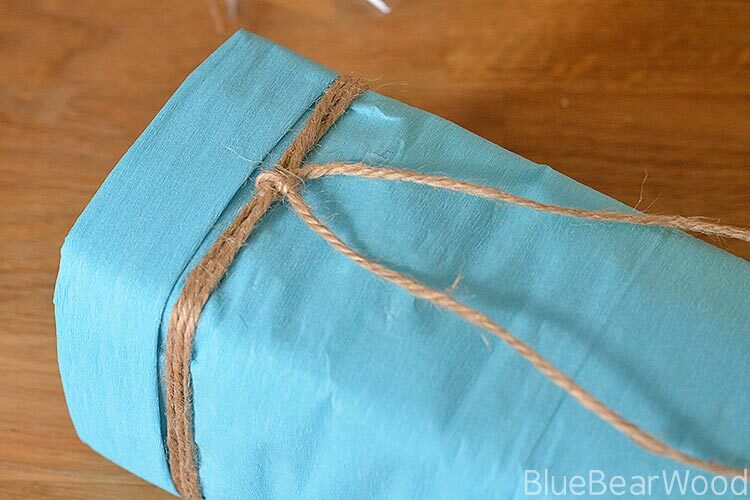 Measure out a length of string that wraps around the carton three times and leaves some dangling. 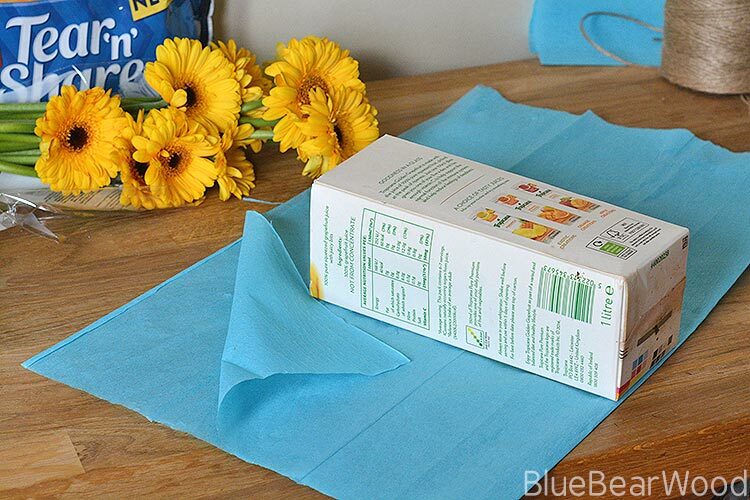 Measure out a double layer length of Crepe Paper that is longer than the height of the carton (you are going to fold it back on itself). I use the width or the crepe paper roll to wrap around the carton and cut a long length that I fool in half. Next fold back one of the edges to make a neat seam and shorten the crepe paper so that is sits just proud of the carton top. 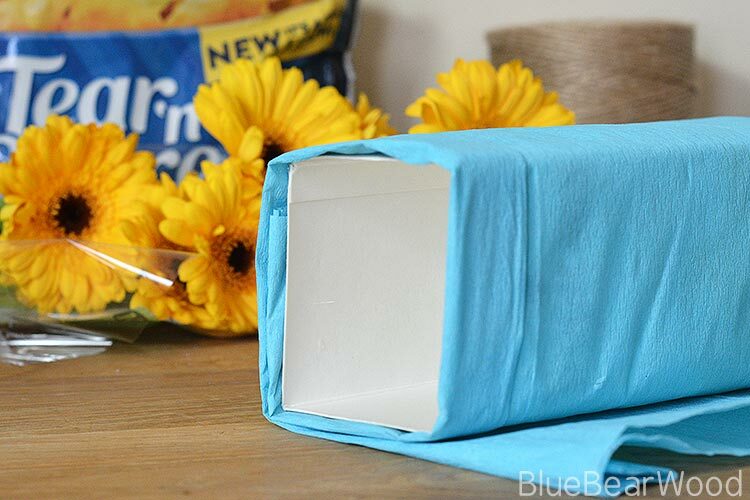 Turn the crepe paper over (keeping the fold in place) and carefully wrap it tightly around the carton so the the end seam finished in the middle of one of the carton sides. This will be the back of your vase. Find the centre of your piece of string and place this at the back where the seam is and wrapt around three times just under the base of the fold. Secure with a knot. I like to add a small bead at the end of the string to give it some weight and help pull it down but it’s not essential. 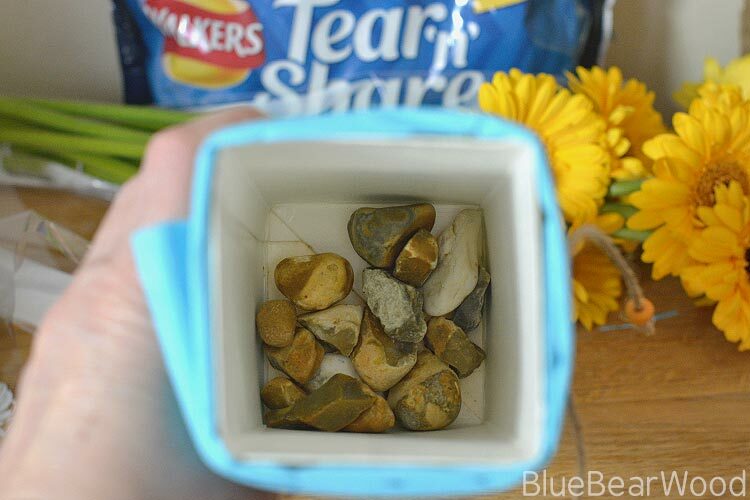 Add a small handful of stones to the carton to add weight and stabilise it. Finally add your water and flowers. I find this is the perfect combination for last minute picnics, girly get togethers, impromptu guests and coffee mornings (elferflower presse is a great alternative to wine if it’s too early in the day for a glass of the old vino!). 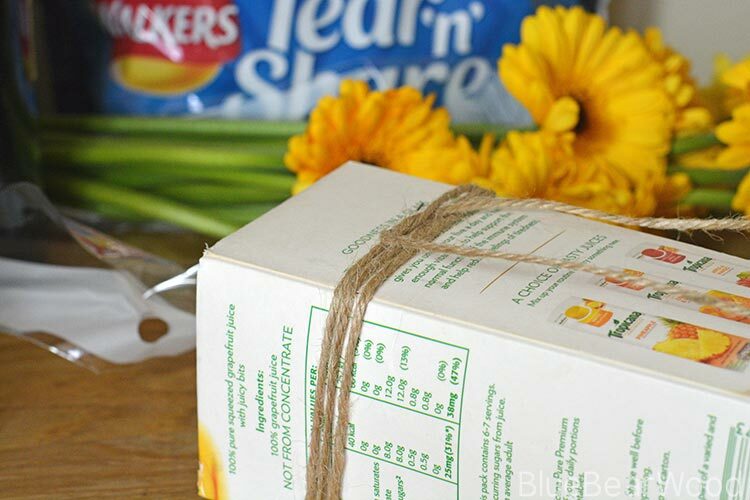 This DIY Upcycled Milk Carton Flower Vase totally transforms your bunch of flowers into a beautiful, bespoke, personalised gift. 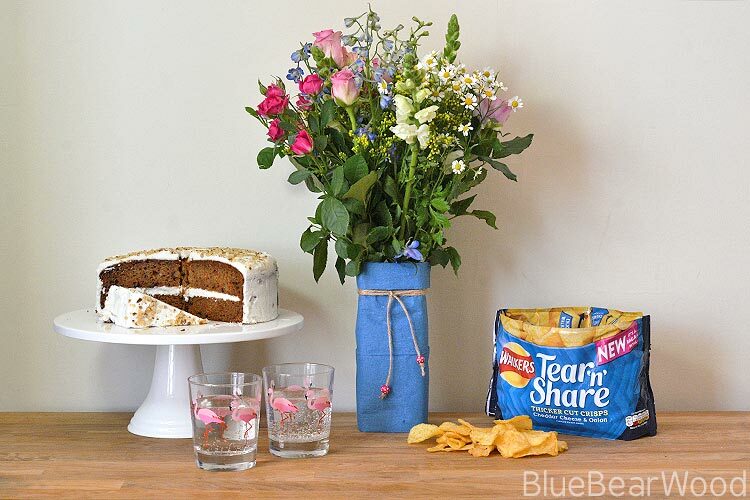 It’s thrifty to make, easy to transport (you can add water once in situ), safe for outside get togethers (no broken glass) and can be made to suit individual decor. 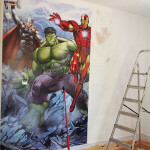 What’s not to like!? What a fabulous idea for a present. I know many people don’t give flowers any more because they are unsure if the receiver has a vase. 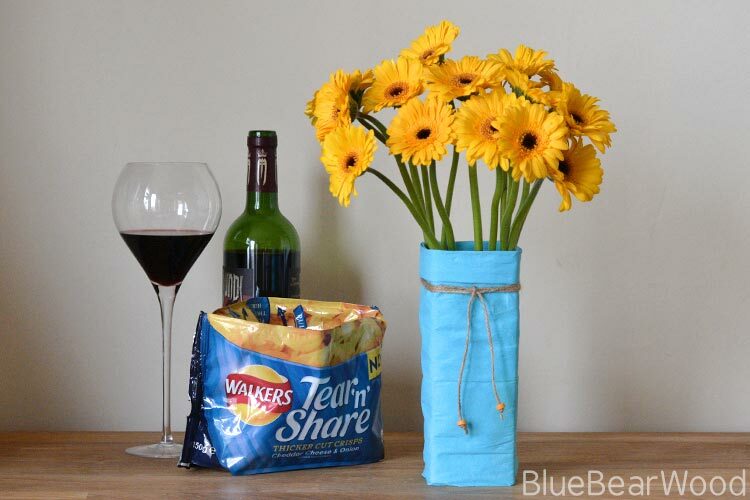 I always need a spare vase – this is a great hack. 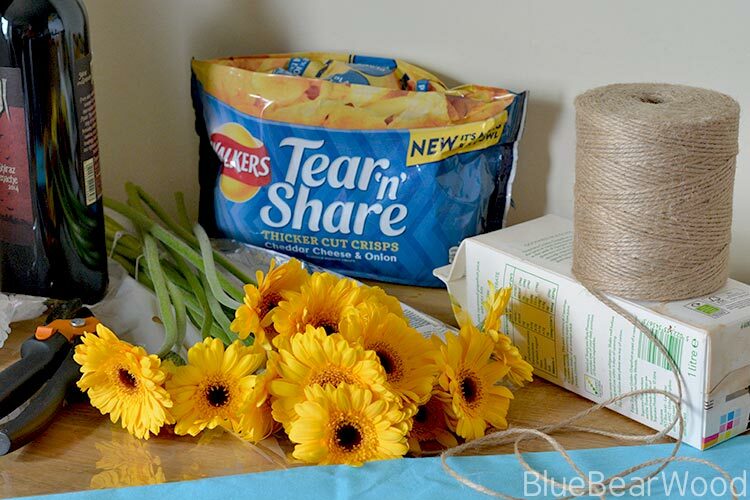 Oh i love the tear and share, flowers and wine. All great touches! Very pretty. I never seem to have enough vases. That’s so clever – my two would love to do this and fill it with flowers for me (that last bit could be wishful thinking on my part). 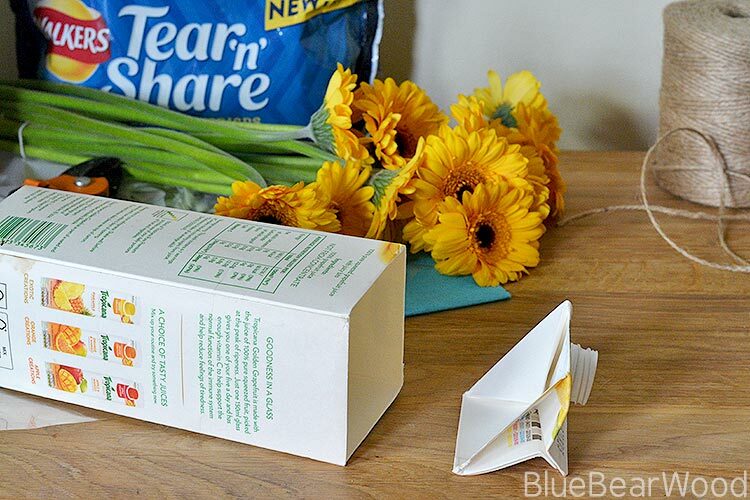 Those look fantastic, and such a great way to recycle milk and juice cartons! 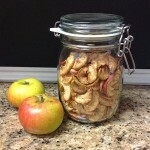 They look really effective, a great inexpensive gift idea!